My ambition is to contribute to the creation of a better world. I value honesty and clarity. I want to build relationships with my clients based on trust. In keeping with this philosophy, the protection of your personal data is essential to me. The purpose of this policy is to inform you of how I collect and process your data. Client: any moral or capable natural person within the meaning of articles 1123 and following of the Civil Code, or legal person, who visits the Site or who is subject of these general conditions. Customer information: Hereinafter referred to as “Information” which corresponds to all personal data that may be held by https://www.julianoyel.com for the management of your account, customer relationship management and for analytical and statistical purposes. Online or offline, I respect the regulation (EU) 2016/679 JOUE L127 2 of 23/05/2018. • processed in a manner that ensures appropriate security of the personal data, including protection against unauthorised or unlawful processing and against accidental loss, destruction or damage, using appropriate technical or organisational measures (‘integrity and confidentiality’). The processing of personal data made within the framework of this Site has been declared to the CNIL. The information collected is treated with the utmost confidentiality. I want to inform you about the regulations concerning marketing communication, the law of June 21, 2014 for the confidence in the Digital Economy, the Data Protection Act of August 06, 2004 as well as the General Regulation on Data Protection (RGPD: No. 2016-679). 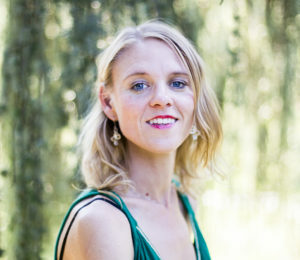 For the Personal Data collected in connection with the creation of the User’s personal account and the browsing on the Site, the person in charge of processing Personal Data is represented by myself Julia Noyel. As data controller, I agree to comply with the legal framework in force. It is up to me to establish the purposes of the data processing, to provide from the collection of their consent, complete information on the processing of your personal data and to maintain a register of treatments in line with reality. Whenever I process Personal Data, I take all reasonable steps to ensure the accuracy and appropriateness of the Personal Data in relation to the purposes for which I am processing them. • to enable navigation on the Site and the management and traceability of services and services ordered by you as a user: login and use of the Site, invoicing, order history, etc. • right to define the fate of the data after your death and to choose to whom I should communicate (or not) your data to a third party that you have previously designated. As soon as I have knowledge of the death of a User and failing instructions from him, I undertake to destroy his data, unless their retention is necessary for probative purposes or to meet any legal obligation. 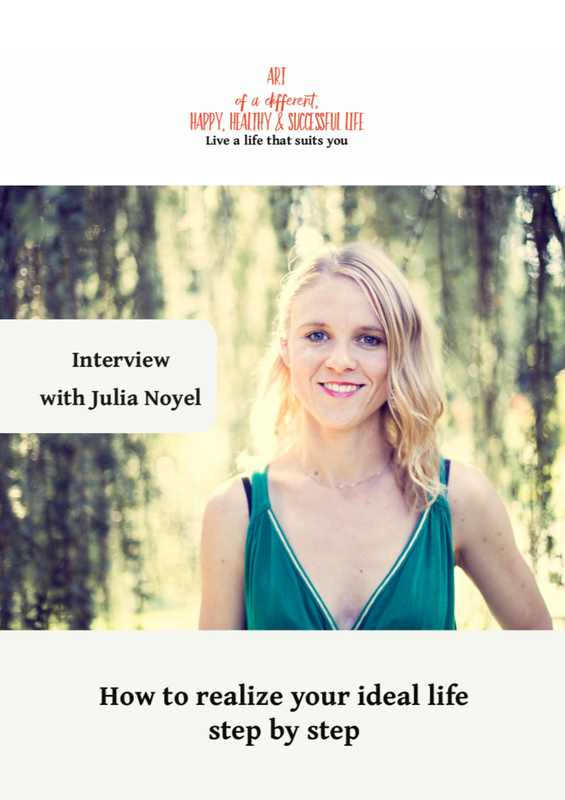 Julia Noyel – DPO, Noyel Julia 33 rue de la République 69002 Lyon France. In this case, you must indicate the personal data that you want me to correct, update or delete, identifying you specifically with a copy of an identity document (identity card or passport). Requests for deletion of personal data will be subject to the obligations that are required by law, including the retention or archiving of documents. Finally, you can file a complaint with the supervisory authorities, including the CNIL (https://www.cnil.fr/fr/plaintes). I refrain from processing, hosting or transferring the collected Information to a country outside the European Union or recognized as “unsuitable” by the European Commission without first informing you. However, I remain free from the choice of my technical and commercial subcontractors on the condition that they present sufficient guarantees with regard to the requirements of the General Regulation on Data Protection (RGPD: No. 2016-679). I undertake to take all necessary precautions to preserve the security of information and in particular that they are not communicated to unauthorized persons. However, if an incident affecting your integrity or your confidentiality of the Customer Information is brought to my attention, it shall promptly inform the Customer and notify him of the corrective measures taken. Moreover https://www.julianoyel.com does not collect any “sensitive data”. Your personal data may be processed by subcontractors (service providers) exclusively for the purposes of this policy. For some communication approaches we use external providers: for sending the newsletter, webinars, online courses, website hosting and customer management. Within the limits of their respective attributions and for the purposes mentioned above, the principal persons likely to have access to the data of the visitors, users, customers, participants of the webinars. To ensure the security and confidentiality of Personal Data and Personal Data, I use networks protected by standard devices such as firewall, pseudonymization, encryption and password. When processing Personal Data, I take all reasonable steps to protect against any loss, misuse, unauthorized access, disclosure, alteration or destruction. Whatever efforts are made, no method of transmission over the Internet and no method of electronic storage is completely secure. I can not therefore guarantee absolute security. If I become aware of a security breach, I notify the affected users so that they can take appropriate action. My incident reporting procedures reflect my legal obligations, whether at the national or European level. I undertake to fully inform you of all matters relating to the security of your account and to provide you with all the information necessary to help you comply with your own regulatory reporting requirements. No personal information that you give as a user of the Site is published without the knowledge of the user, exchanged, transferred, assigned or sold to any support to others. Only the assumption of redemption https://www.julianoyel.com and rights allow the transmission of such information to the prospective purchaser who would in turn be given the same obligation to store and modify the data to vis of the user of the site https://www.julianoyel.com. of the impossibility to https://www.julianoyel.com to register or to consult Cookies necessary to their operation because of the choice of the User. For the management of Cookies and the choices of the User, the configuration of each browser is different. It is described in the help menu of the browser, which will indicate how the user can change his wishes for cookies. At any time, you can make the choice to express and modify your wishes for Cookies. I will also be able to use the services of external providers to help collect and process the information described in this section. Finally, by clicking on the icons dedicated to Twitter, Facebook, Linkedin and Google Plus social networks appearing on Julia Noyel’s website or the mobile application of Julia Noyel, Twitter, Facebook, Linkedin and Google Plus can also place cookies on your terminals (computer, tablet, mobile phone). and if the user has accepted the deposit of cookies while continuing to browse the Website. These types of cookies are only placed on your devices if you consent, by continuing your navigation on the Website or the mobile application https://www.julianoyel.com. At any time, you can nevertheless reconsider your consent to https://www.julianoyel.com filing this type of cookies. https://www.julianoyel.com may occasionally use Internet tags (also called “tags”, or action tags, one-pixel GIFs, transparent GIFs, invisible GIFs, and one-to-one GIFs) and deploy them by the intermediary of a specialist web analysis partner likely to be located (and therefore to store the corresponding information, including the IP address of the User) in a foreign country. These tags are placed both in online advertisements allowing users to access the Site, and on the various pages of it. This technology allows me to evaluate visitors’ responses to the Site and the effectiveness of its actions (for example, the number of times a page is opened and the information accessed), as well as the use of this Site by the Site. ‘User. The external service provider may collect information about visitors to the Site and other websites through these tags, compile reports on the Site’s activity to my attention, and provide other services related to the use of the site and the Internet. In addition to the above points, other data protection notices may be relevant to the performance of the contract. In the following, you will learn more about it. We collect the data that our customers and our prospects communicate to us and which are essential for the proper functioning of the service. These data are communicated to us via a contact form, by email, by telephone, by a completed registration form and sent back by email. Data according to the purpose can be: first name, address, postal code, email address, phone number, Skype login, subject of the request, date of birth, company siret, name of the manager for the companies. https://www.julianoyel.com also collects information that can improve the user experience and offer contextualized advice such as “how you knew us”, “the topics that interest you”. These data are optional and help us better meet your expectations. When you register for coaching training or coaching, you will also be registered in our Mailchimp messaging system (see point 12.5) in order to receive information about your subjects and the follow-up by e-mail. For this, you will receive – if it is your first entry in one of our lists – an automated mail, with the request to confirm your e-mail address and to accept the sending by us (Double-Opt-In ). 1. You will be redirected to the log in page of https://artofadifferenthappylife.getlearnworlds.com where you can create an account using your facebook, twitter, linkedin account or by entering your email address and password. You will automatically be registered in the system of LearnWorlds Ltd, platform offering E-learning solutions LearnWorlds Ltd 71-75, Shelton Street, Covent Garden, London, WC2H 9JQ, United Kingdom. 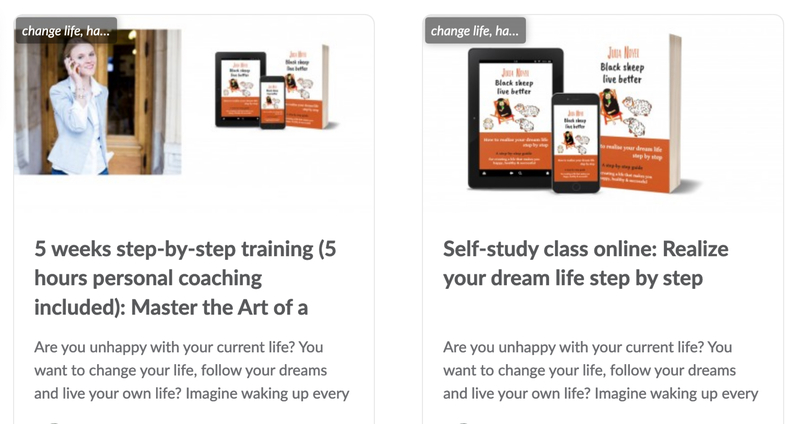 You will also be automatically created as a participant on https://artofadifferenthappylife.getlearnworlds.com and will receive a system mail with your individual access data. This gives you access to the content of the protected course on our LearnWorlds Ltd. online course platform. Your data such as first name, last name and e-mail address are stored in a database on a secure https server. If you forget your password, you can request a new one, which will be sent to you by the system. We can not see this password. In addition, the system records the date of the first login, the date of the last connection and the total number of connections, the number of courses, your progress on the modules. This helps us to identify inactive users and to delete their data regularly at the end of the reserved usage period. You will also be registered in our Mailchimp e-mail system (see point 12.5) to receive information about your topics and new e-mail lessons. For this, you will receive – if it is your first entry in one of our lists – an automated mail, with the request to confirm your e-mail address and to accept the sending by us (Double-Opt-In ). 3. Course participants can exchange ideas with me and other participants in the virtual classroom (forum). Reading contributions is possible without any further specification of personal data. You can publish your own contributions or respond to contributions from other participants. The system records your name, the time and date of publication and of course your contribution. You can edit your profile, adjust the displayed name, or upload a photo. This data is stored and remains online at LearnWorlds Ltd. until you delete your profile or we regularly remove inactive members. You have the option to delete individual contributions yourself. 4. At the end of the course, you can receive a link to a satisfaction questionnaire. Completing the feedback form is voluntary and anonymous. However, I will be happy if you give me my name and e-mail address, so that I can answer you immediately if necessary. Your satisfaction questionnaire information will be stored on our server in a database, and will be sent to me by email. If you book our courses online in a different way (order by e-mail, business licenses for several employees, etc. ), points 2 to 4 apply. In this case, the capture is done manually. In addition, we save, save and use your billing information for the execution of the contract. If you do not agree with the collection, storage, processing and use of your data, please do not book our courses. Technically, another transaction is unfortunately not possible. Storage duration: We delete your access data for courses after one year, unless you extend your access in writing. All items are on sale at the expiration of legal retention periods or abroad. Request cancellation or revoke your consent, or the object of storage no longer applies. All the principles and explanations mentioned in point 1 apply, as well as information on data protection in general on our websites. From time to time, we offer free webinars. To do this, you can register with your first name, last name and e-mail address in the list of participants. You can then access the webinars platform, which you can use without additional personal information. The entries that are voluntary are recorded by the platform but are not used by us. Storage time: Your contact information in the participant list will be used for the preparation, organization, implementation and follow-up of the corresponding webinar and will be removed one month after the webinar. In addition, you can always unsubscribe via the corresponding unsubscribe links in emails. All the principles and explanations mentioned in point 1. apply. In my newsletter, registered readers receive tips and ideas for personal success, reading tips, links to new BLOG articles, videos, and podcast episodes. In addition, they get information on upcoming appointments (webinars, trainings, conferences) or online courses, as well as sporadically a reminder, as to a reservation deadline or similar expires. The newsletter is published once or twice a month. Access / Consent: Once you have registered in the list of readers on one of our registration forms on our websites, you will receive an email with a request for confirmation (double-opt-in email). Only if you click on the link in the mail, your registration is validated. In doing so, you agree that we may contact you for the purposes described. You can also give us your consent in a different way (preferably in writing), by signing a contra for example so we will be happy to include you in our list of readers by hand. Of course, you can at any time with a click on an unsubscribe link in each newsletter unsubscribe immediately. You may revoke your consent at any time. Data: In accordance with the principle of data avoidance and data economy, the email address is sufficient to receive our emails. But because I like to address my readers by name, we also ask for first names and last names. This information makes our communication with you more humane. Advertising: a transfer of personal data to third parties for the purposes of advertising, market research or opinion does not take place. Statistics: Like other service providers for sending e-mails, MailChimp also offers statistical evaluation options for usage data, etc. (number of recipients, opening rate, clickthrough rate, unsubscribe). Share content via plugins (Facebook, Google + 1, Twitter & Co.): The content on our pages can be shared in privacy-friendly social networks such as Facebook, Twitter or Google+. If the user is connected to one of the social networks, when you use the social buttons of Facebook, Google + 1, Twitter & Co., an information window appears, in which the user can confirm the text before submit it. Our users may share the content of this page in a manner that respects privacy on social networks. Facebook-Plugins (Like & Share-Button): On our Facebook social plugin pages, the Facebook Inc. provider is integrated. Facebook plugins can be recognized by the Facebook logo or the “Like-Button” (“Like”) on our site. Google Analytics: This site uses the functionality of the Google Analytics web analytics service. The supplier is Google Inc., 1600 Amphitheater Parkway, Mountain View, CA 94043, USA. Google Analytics uses “cookies”. These are text files that are stored on your computer and that allow an analysis of the use of the site by you. The information generated by the cookie about your use of this site is generally transmitted to a Google server in the United States and stored there. The website operator has a legitimate interest in analyzing user behavior to optimize both its website and advertising. You can prevent the storage of cookies by a corresponding setting of your browser software; However, please note that if you do this, you may not be able to use all the features of this site to the greatest extent possible. You may also prevent the acquisition, the data generated by the cookies and related to your use of the site (including .your IP address) Google and the processing of this data by Google, by making available to the browser plugin Next link Download and install: https://tools.google.com/dlpage/gaoptout?hl=en. Any dispute in connection with the use of the site https://www.julianoyel.com is subject to French law. Except in cases where the law does not allow it, the courts of Lyon have exclusive jurisdiction.